This year’s UC Jazz concert at the Freight will feature the top three combos from the award-winning UC Jazz program performing a wide range of jazz styles from traditional to contemporary to world and beyond. 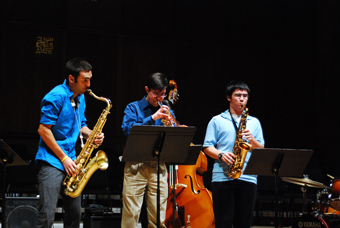 The ensembles are directed by UC Jazz Director Ted Moore along with instructors Frank Martin and Dann Zinn. Join us for a great night of jazz performed by some very talented young players.